NO BOND - Marabella DESIGNER Model - Concrete Block Stucco home on Cul-De-Sac in Santo Domingo! FULL Home INSPECTION recently completed and ready for the new owner. Great curb appeal with so much to offer! Painted drive and walkway lead to front entry with side lights. Combination of 18" DIAGONAL tile and carpet throughout! Home offers LARGE great room with 10' ceiling, SEPARATE Dining Room, Galley Kitchen, Master Suite PLUS 2 EXTRA Bedrooms (2nd No Closet). Private Kitchen features DOUBLE Sinks, Pantry, BRAND NEW Dishwasher, NEWER Refrigerator, & Microwave, GAS Stove and QUARTZ COUNTER TOPS (BOTH bathrooms also). MASTER Suite offers TWO Walk-In closets PLUS an extra bifold closet, 10' ceilings, Walk-in Shower, extended vanity with stainless steel faucet, and enough room for a King Sized Bed and MORE! 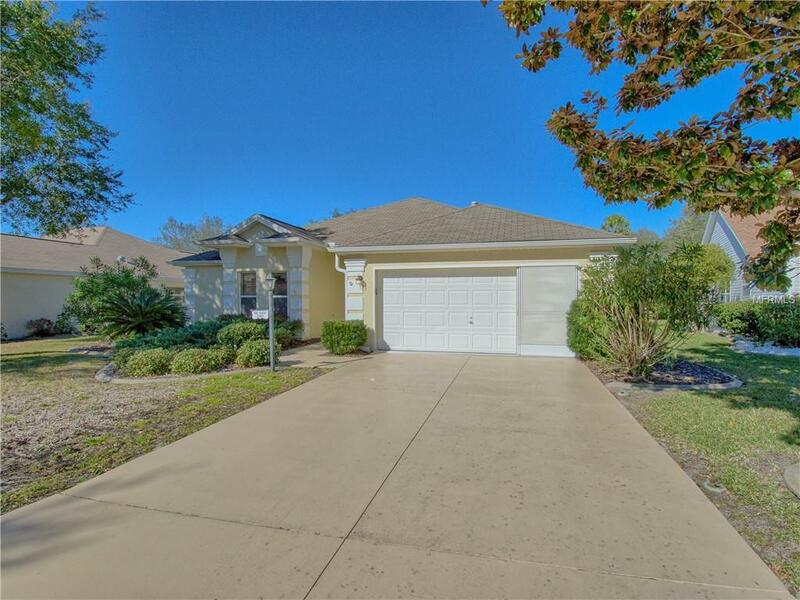 ENCLOSED Lanai with diagonal tile and windows that can be opened to enjoy the Florida sunshine! Villages property in rear with beautiful landscaping and fencing overlooking El Camino. NO KISSING lanai here! Neutral Custom WINDOW Treatments on most windows. Additional features: GARAGE Sliding Screens, SOLAR Tubes, Whole House HONEYWELL ULTRA TREATMENT Fresh Air UV System, Inside laundry with EXTRA storage & CONCRETE curbing surrounding landscaping beds. Superior location near all shopping, medical facilities, Villages Hospital, restaurants & more!